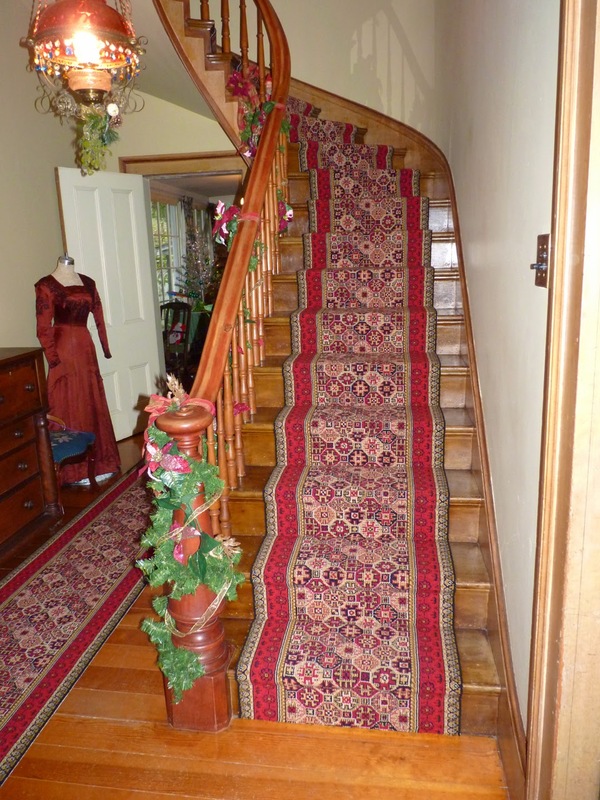 Back in September, I posted about an ongoing project of English Wilton's: the recreation of a hall and stair runner for the Hanley Farm Museum in Medford, Oregon. They've just installed it in time for their Christmas event, and have sent a photo; they're delighted, as are we! 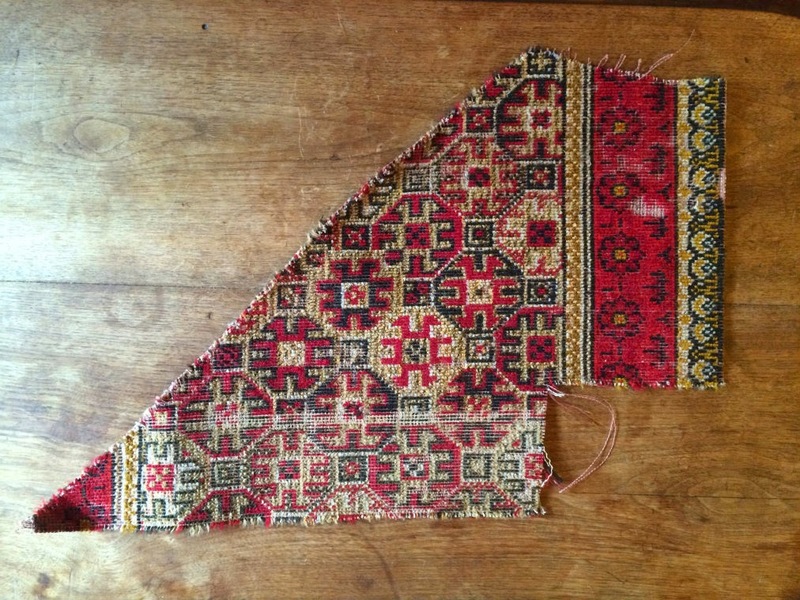 As previously mentioned, the only documentation they had was a tiny scrap of the original Brussels carpet, and with a fair amount of effort, we were able to divine the entirety of the complex repeat. Our art department then rendered it as a digital prototype, yarns were dyed and woven and the results are pictured at left.